Jalopnik regularly hears from sterling readers and, on occasion, tipsters by way of tips@jalopnik.com. But perhaps you know something that you want to share with us, but don’t feel comfortable contacting us by way of traditional email. Here’s a few ways you can reach us securely. There’s multiple ways to send along tips, and each provides different levels of protection, which we’ll elaborate on below. A free open source messaging smartphone app, Signal provides end-to-end encryption for messages, calls, photos, and video. One key thing that puts Signal ahead of the pack in secure messaging is that it only retains the phone number you registered with, as well as when you were last using the app. That’s it. The app lets users designate how they’re notified of new messages, allows messages to self-destruct after a set amount of time, and has a solid infrastructure in place to verify the person you’re chatting with is who they say they are. You can reach us on Signal at: 646-402-3693. A free messaging app owned by Facebook that allows for full end-to-end encryption, WhatsApp supports messages, photos, videos, documents, and calls. Messages and calls can’t be read or listened to by a third party, including WhatsApp. The app also has methods to confirm messages are encrypted. Unlike Signal, however, the company stores a lot of metadata about you—when you log on, contact information, your location (if you’re sharing it), and message timestamps. The company also has an agreement to share data with Facebook, which has been in the news as of late over immense privacy and security concerns, and the messaging app’s co-founder recently departed, leaving many concerned over whether WhatsApp’s data tracking policy is going to change. So, bear that in mind if you decide to use WhatsApp for messaging. You can reach us on WhatsApp at 646-402-3693. We don’t recommend phone calls as a secure form of communication unless you’re using a burner or somehow managed to find a working payphone and have quarters on you, but if you really want to give us a call before reaching out through other means, our desk line is 646-214-8111. If you don’t want to leave a digital trail, and you really want some peace of mind, SecureDrop is the way to go. Our colleagues at Gizmodo’s Special Projects Desk have already laid out how to go about using SecureDrop to reach us. You can reach us by SecureDrop using the instructions here. One of the most straightforward, easiest paths to take. Use the United States Postal Service to send us letters, documents, USB drives, CDs, whatever’s necessary to pass along the tip. Again, our Special Projects Desk colleagues have some handy recommendations to keep in mind, if you want to remain anonymous when sending snail mail: don’t include any identifying information on the package or letter. Use prepackaged stamps. Drop the package in a public mailbox, not a post office. 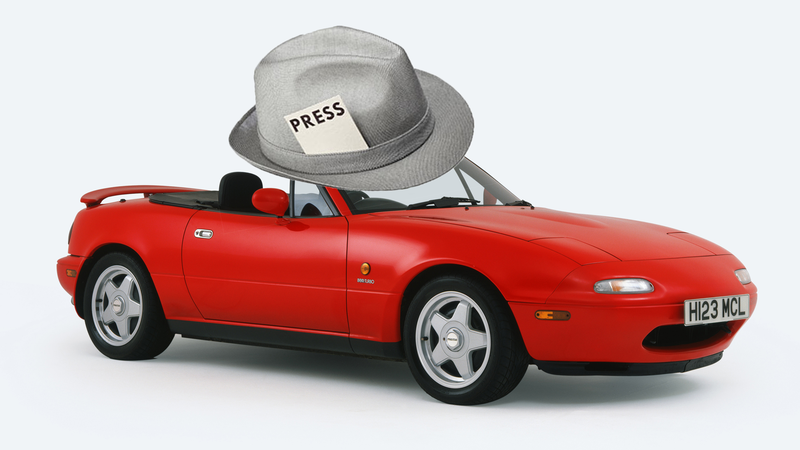 As always, if you have a very general note that you’d like to pass along—for instance, a link to a news story we might be interested in writing about—keep dropping us a line at tips@jalopnik.com. And the site’s editors can all be found here. Good luck, and happy leaking.